The Wolfman Lives On! … Rez Radio. Pala Rez Radio 91.3 FM has secured the exclusive Southern California broadcast rights to The Wolfman Jack Show. The Wolfman will be heard five nights a week at 6 beginning with his Halloween Special on Saturday, October 31 as part of six hours of special Rez Halloween programming. The WJS will assume its permanent slot every Tuesday through Saturday starting at 6p beginning November 3. Wolfman Jack, whose real name was Robert Smith – same as the Chairman of the Pala Band of Mission Indians – hmmm, you don’t suppose … nah, couldn’t be. Anyway, Wolfman Jack’s rise to become America’s most well-known disc jockey brought him from Mexican border blaster, 250,000-watt XERF in Ciudad Acuña across from Del Rio, Texas to a similar station in Rosarita, Baja California in the mid-1960s – XERB, 1090 AM where he howled for years on tapes shipped across the border from offices in Chula Vista and later, Hollywood. Those shows were then beamed up the entire west coast, catching the attention of aspiring young filmmaking student George Lucas, whose second feature film in 1973, “American Graffiti” needed a “Wolfman Jack-like character” who everybody knew, but few had ever seen. In spite of Wolfman having already appeared in comedy troupe, The Committee’s 1969 film “A Session with the Committee”, the Wolfman was still not readily recognizable in public. He’d been in costume for most of his radio public appearances. Graffiti was his breakthrough. Wolfman Jack became the host of The Midnight Special TV concert series in 1973, and guest starred on shows as diverse as The Odd Couple, What’s Happening! !, Hollywood Squares, Emergency!, and Married With Children. His XERF days were the inspiration for Jim Morrison and The Doors’ “The WASP (Texas Radio and the Big Beat)”. He’s mentioned in the Grateful Dead’s “Ramble On Rose”. And The Guess Who wrote an entire song dedicated to him with 1974’s “Clap for the Wolfman”. He passed away in July of 1995. Rez Radio will be airing digitally remastered versions of his 1980’s syndicated radio show. 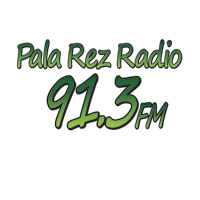 Pala Rez Radio is owned and operated by the Pala Band of Mission Indians. Rez Radio is a class A FM station operating at 91.3 Mhz, as licensed by the FCC to the community of Pala, CA. Rez Radio operates 24 hours a day with a daily weekday block of news, talk and public affairs from 9a to 1p, including the award-winning “Pala Today” at noon and “Pala Life Past and Present” with Eric Ortega Mondays at 12:30p. All other hours feature a music mix of rock, country, reggae, soul, native, blues and oldies. Other daily programming includes an hour or more of reggae six nights a week at 7 and complete old-time radio shows from the 1930’s-50’s every night at midnight and Sunday afternoons. Volunteer programmers host various music and entertainment shows. 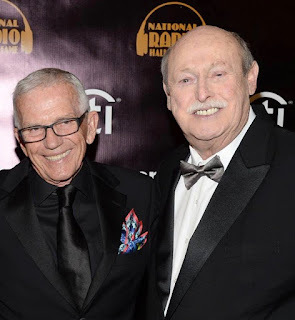 Rez Radio is proud to be the home of “Brunch With Bob and Friends” with Tommy Hough every Sunday from 9 to noon, “FutureSound” EDM with DJ CUSCINO Saturdays at 11p, and “Mark’s Groovy Trip” 70s music with Mark Gleason every Tuesday from 1 to 4p. Rez Radio also airs programming from the Native Voice 1 and Pacifica networks. 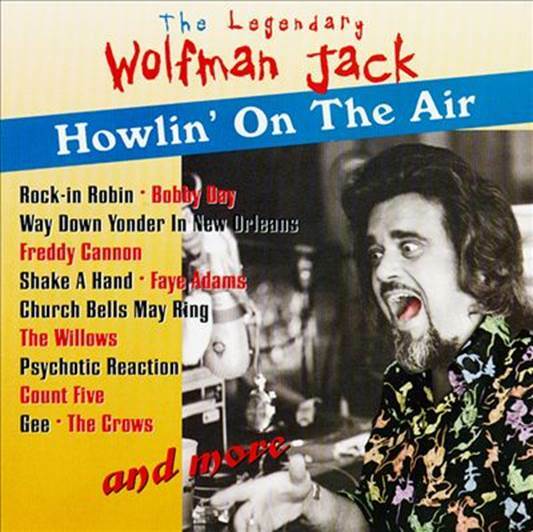 We welcome inquiries about financial underwriting for the Wolfman Jack Show on Rez Radio. Please contact John Fox with any questions at 760 742 4200 or jfox@palatribe.com .